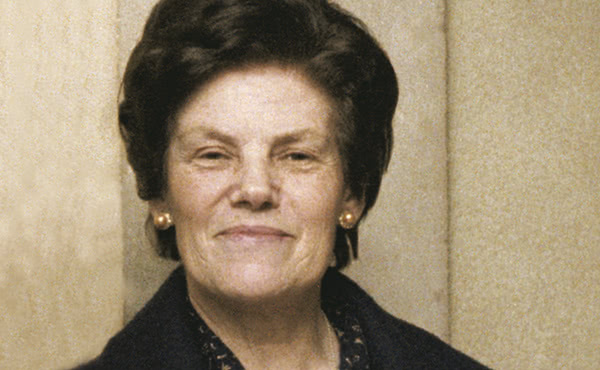 Dora del Hoyo Alonso, whose cause of canonization opened on June 18, 2012, dedicated her life to the work of the home. According to Dora, it was through her own family that she first learned to love caring for the home and to value working hard and well. Her example helped many to value ordinary work as a means of growing closer to God. Dora del Hoyo Alonso was born on January 11, 1914, in Boca de Huergano, a small town in northern Spain. She was the fifth of six children, the daughter of farm workers. She was raised in a deeply Christian home where she learned to love the work of the home and to value working hard and working well. When Dora was 26, she moved to Madrid. With the aid of the Religious of Domestic Service, she found employment as a housekeeper to several families. Very quickly she showed herself to be intelligent, capable, hardworking, and a quick learner. In 1945 she began to work in the Moncloa Residence, a student residence which had recently been established by St. Josemaria Escriva, the founder of Opus Dei. He quickly recognized that Dora would be indispensable in establishing the order and creating the family atmosphere that he intended there to be among the more than 100 students living in the Moncloa Residence. The experience she had gained during her early years in Madrid helped her to improve the laundry, housekeeping, and cooking, and as a result the atmosphere in the residence became increasingly serene and cheerful. In 1946, Dora went to Bilbao to help establish a new residence and in that city, on March 14, 1946, she asked for admission to Opus Dei, seeking, by means of her work, to spread the message of the universal call to holiness preached by St. Josemaria. 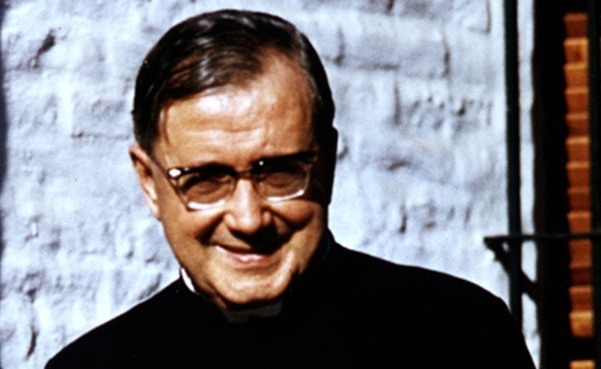 Just months later, on Dec. 27 of the same year, St. Josemaria asked her, along with other women, to move to Rome to take care of the first center of Opus Dei in Rome. From that moment until the day of his death, Dora supported the founder of Opus Dei with her work and with her fidelity. She worked selflessly and with a sense of initiative in setting up the central headquarters of Opus Dei. After his death she worked in the Roman College of the Holy Cross, where university students came from all over the world to study philosophy and theology. There, also, many young women learned from her example and hard work how to sanctify their ordinary work, how to work with a sense of responsibility, and how to live with the serenity and cheerfulness that comes from knowing oneself to be a child of God. Dora died on January 10, 2004. 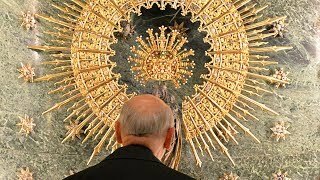 The fact that her mortal remains are buried in the Prelatic Church of Opus Dei "Our Lady of Peace", close to the tomb of St. Josemaria and of his first successor Bishop Alvaro del Portillo, reflects the essential role Dora played in the development of Opus Dei. Since her death thousands of the faithful of the Prelature of Opus Dei and others have come forward to bear witness to Dora's influence in their lives. Those who knew her testify to her intense life of piety, her strength, her charity towards everyone, and her joyful work rooted in her love of God. 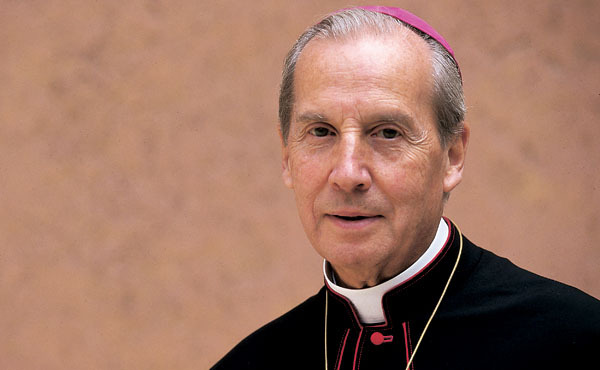 On June 18, 2012, in Rome, Bishop Javier Echevarria, Prelate of Opus Dei, opened the process of canonization for Dora del Hoyo. During the ceremony he stated: "I am more and more convinced of the vital role that this woman has had and will have in the life of the Church and in society. The Lord called Dora del Hoyo to carry out the same tasks as Our Lady did in Nazareth." "The Christian example of this woman," he continued, “with her faithful Christian life, helps to give life to the idea of service and communicates to our society the importance of the family, the authentic domestic Church, which she brought to life by means of her generous and cheerful daily work." Many people have submitted and continue to submit accounts of favors which they attribute to Dora's intercession.